To keep up with their tradition in LA, we held a mini family portrait session down by the monuments to capture their family vacation here - and Vivian’s two missing front teeth! As peak bloom comes to a close, petals scatter in the wind and turn the ground pink! The perfect setting for Kim’s elegant white gown. 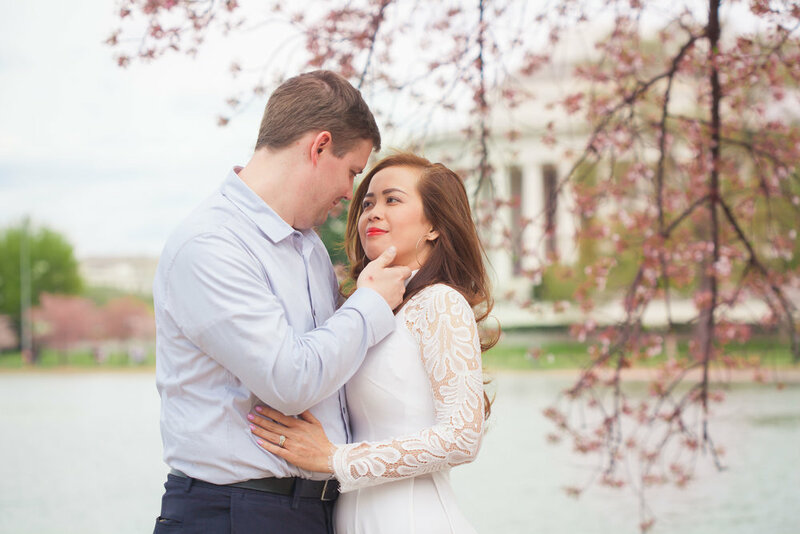 Couples Portraits - DC Vacation during Cherry Blossom Peak Bloom! the National Cherry Blossom Festival. Enjoy!